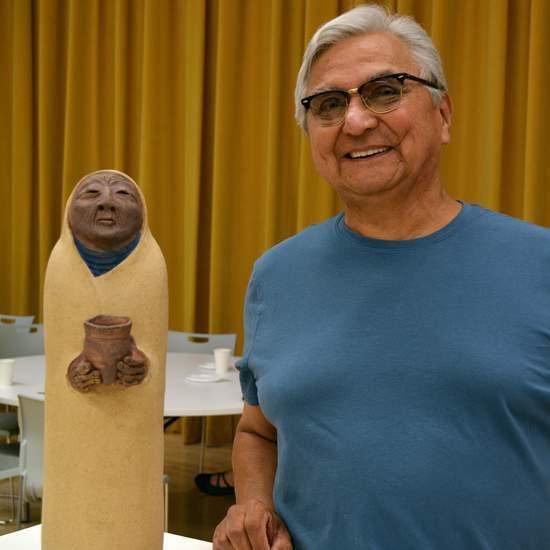 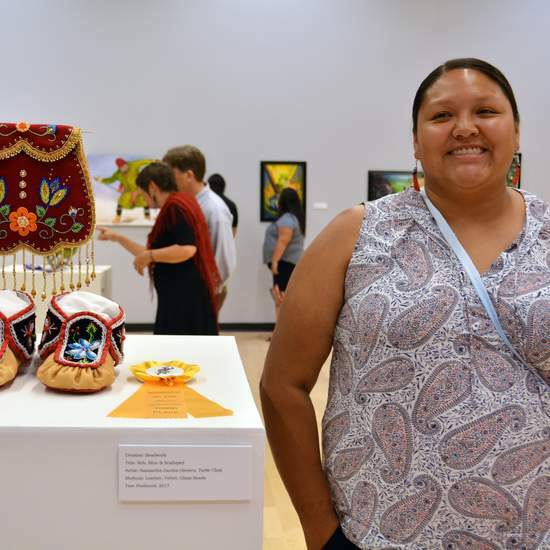 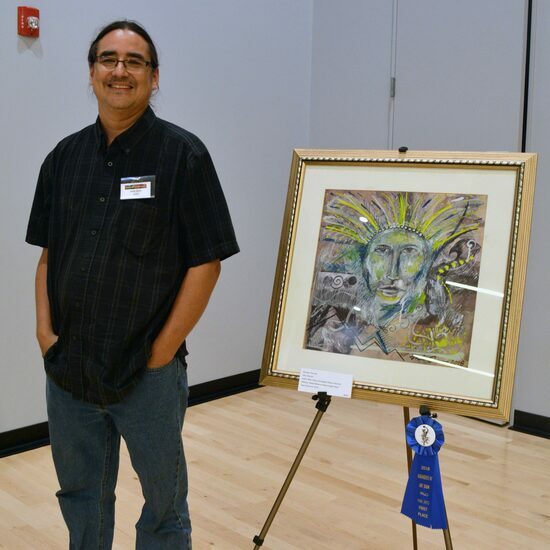 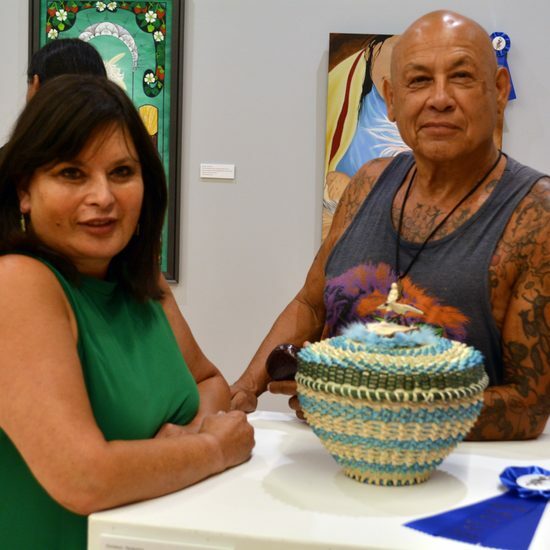 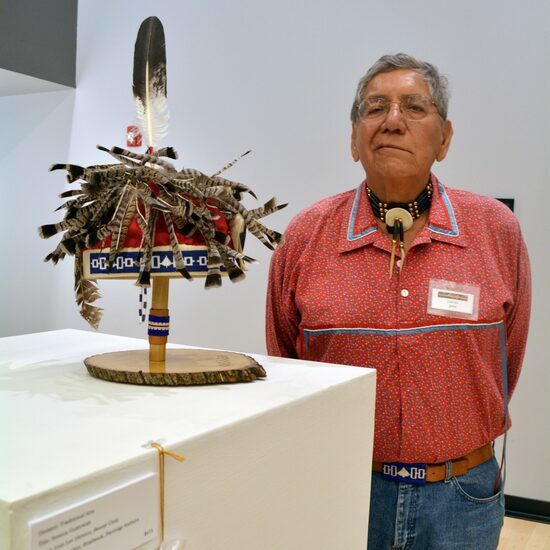 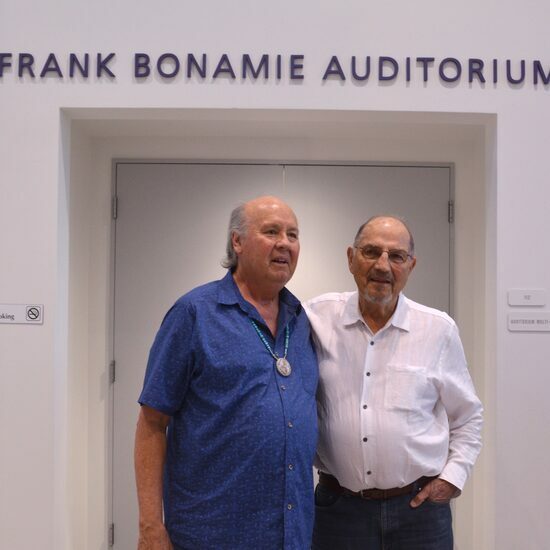 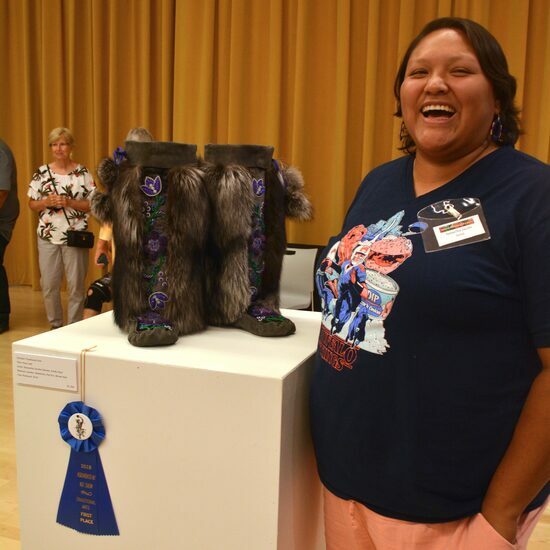 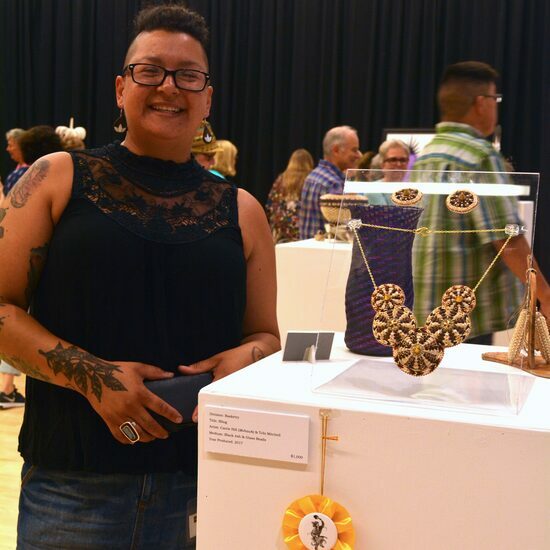 Ganondagan is pleased to announce its third juried Hodinöhsö:ni’ Art Show to be exhibited at the Indigenous Music & Arts Festival – July 27th & 28th, 2019. 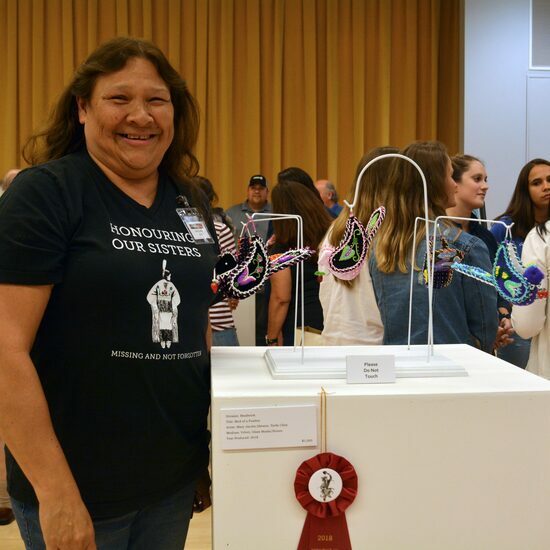 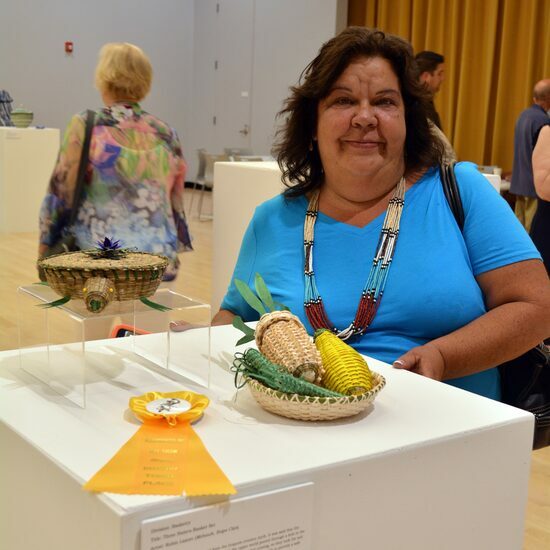 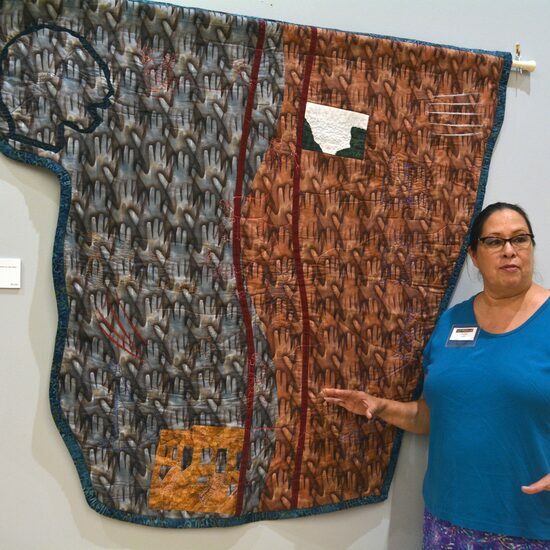 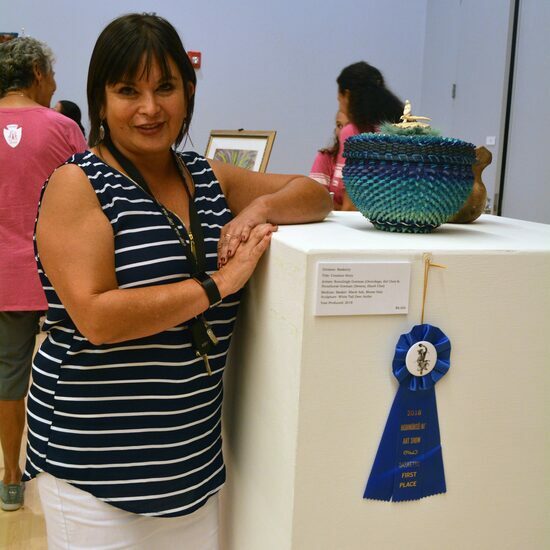 We are calling for Haudenosaunee artists in the five divisions of: Beadwork, Basketry, Traditional Arts, Fine Art 2D, and Fine Art Sculpture to enter up to three pieces of new work for consideration in the show. 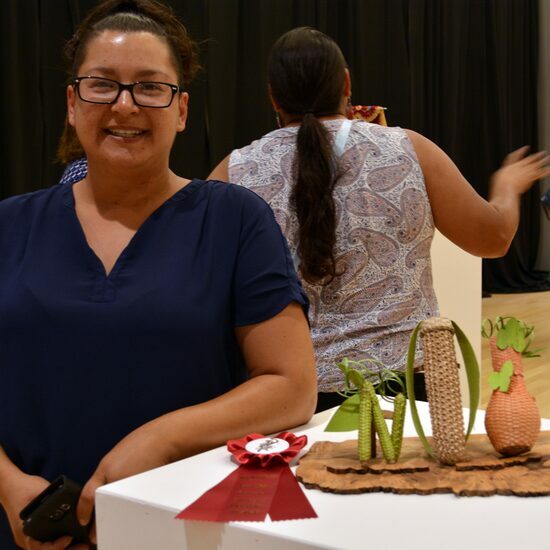 (First Place - $1,250; Second Place - $750; Third Place - $400; Best in Show - $2,500). 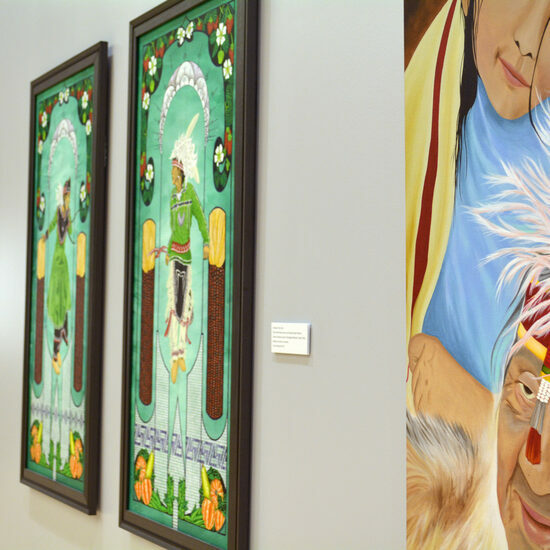 Each artist may submit up to three pieces of their own work for the show. 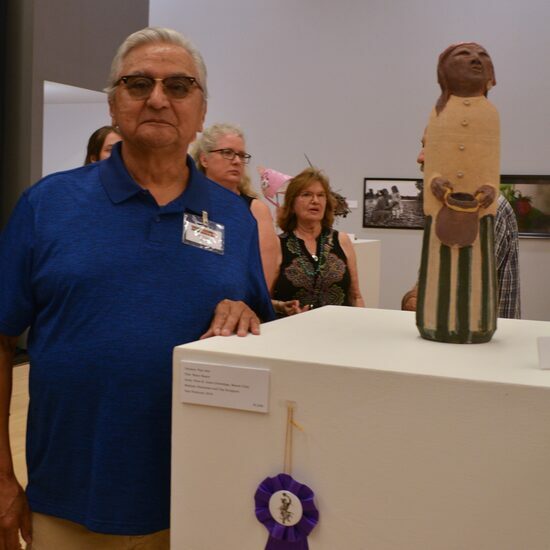 All pieces must be available to purchase, and Ganondagan will have right of first refusal (the right to purchase before any other offers are considered). 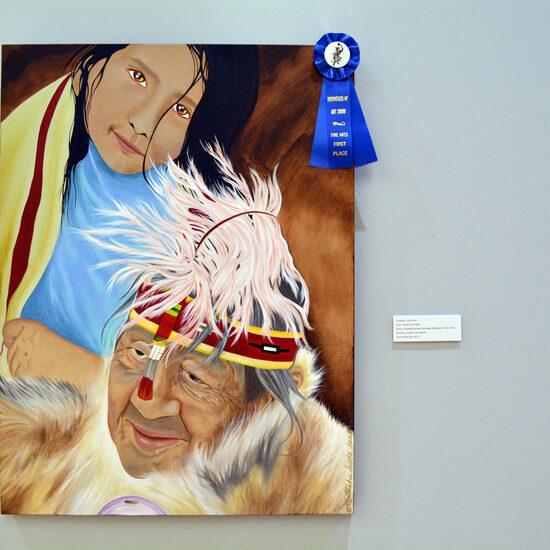 The show committee will accept digital images of the work up until Monday, June 17th, 2019 and the artists will be notified that week if their submissions have been accepted into the show. 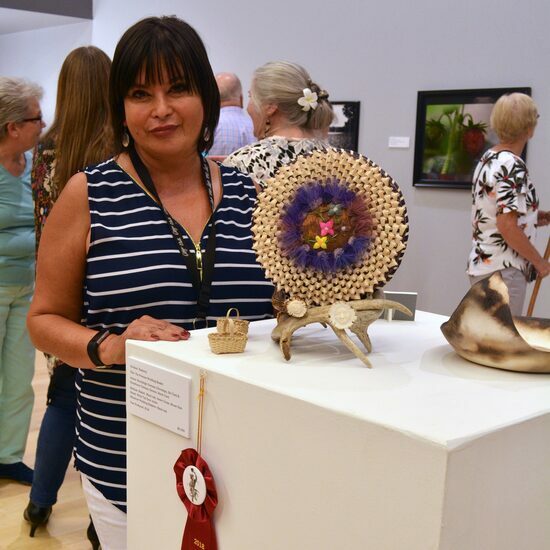 Artists will then have to deliver their work by Friday, July 19th, 2019 for installation and judging. 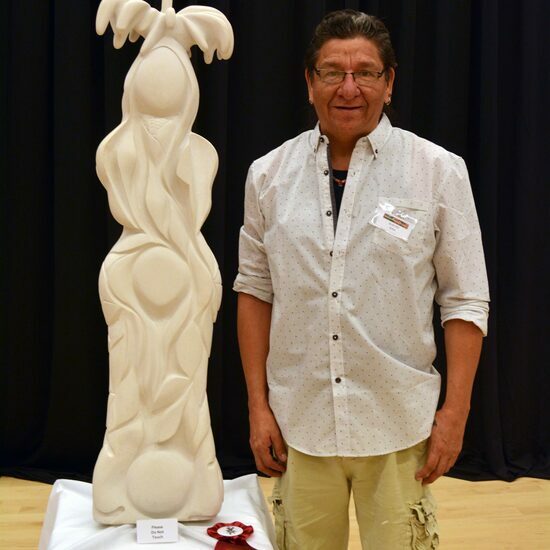 Awards will be presented at the opening reception on Friday, July 26th,2019; we encourage participating artists to attend the opening reception. 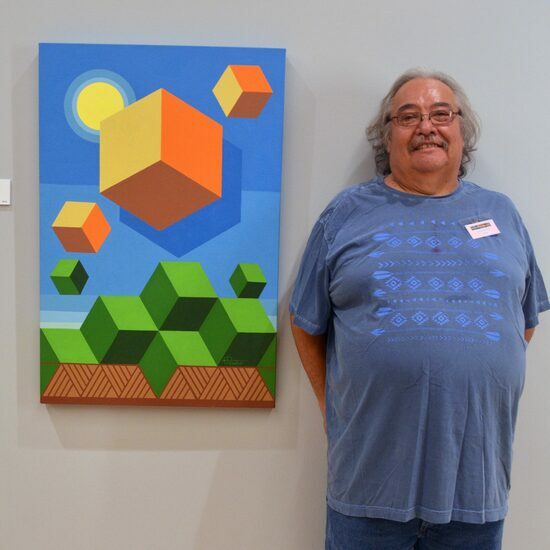 Please review the rules and application carefully. 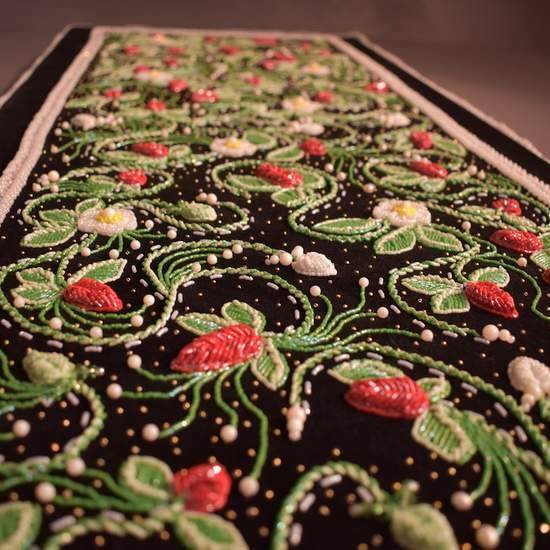 "As a connoisseur, the Hodinöhsö:ni′ Art Show at Ganondagan is an opportunity to view beautifully created unique works of Art. 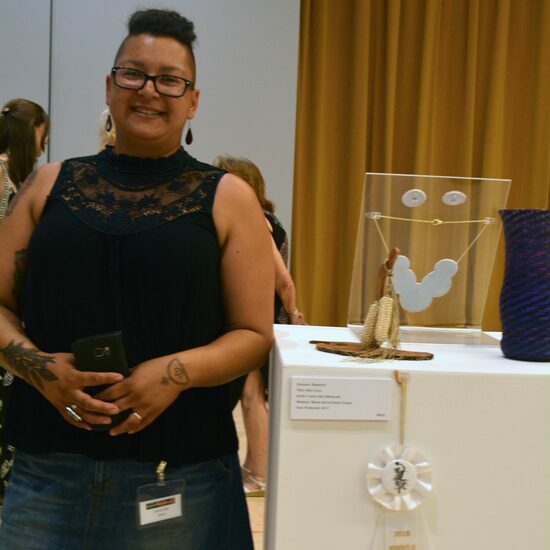 As an artist, the show presents the perfect space to network with potential clients and collections managers, both are opportunities that shouldn’t be missed." 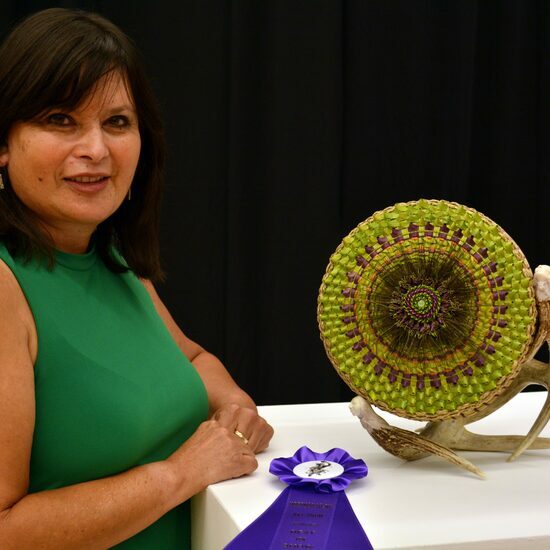 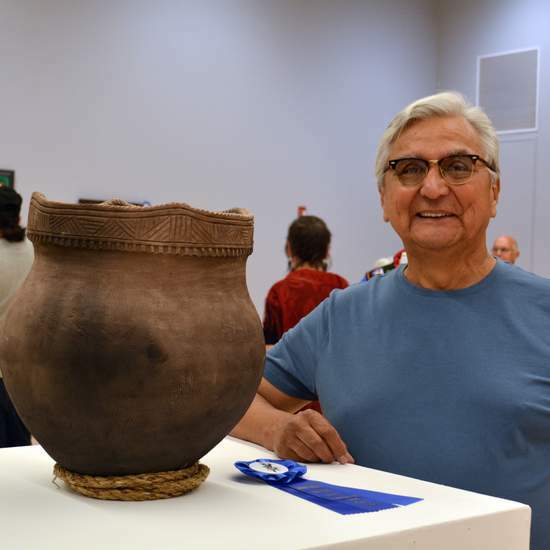 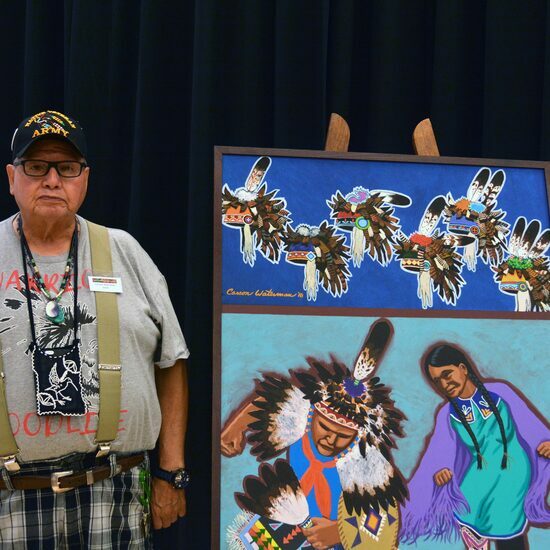 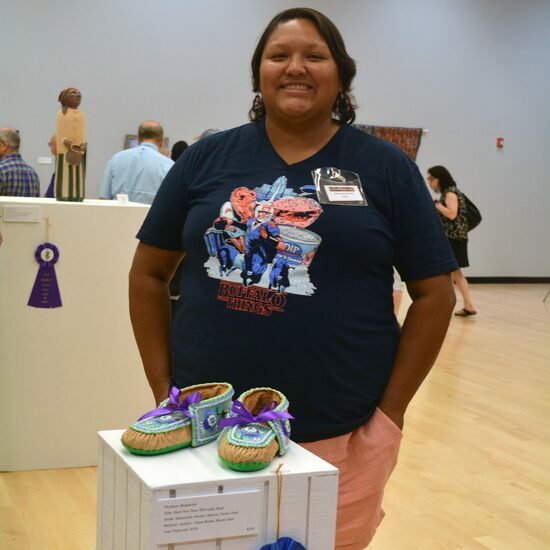 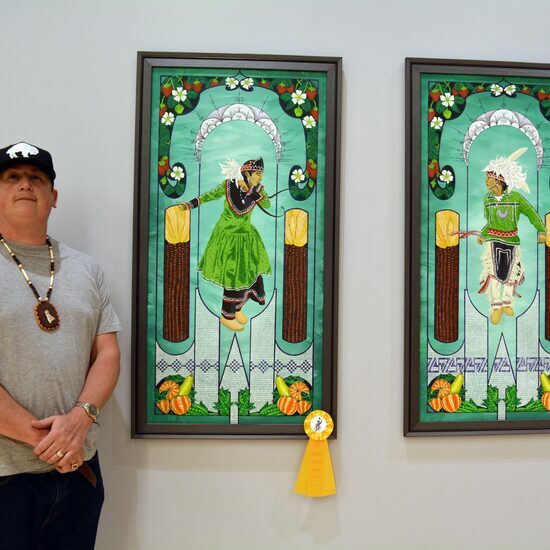 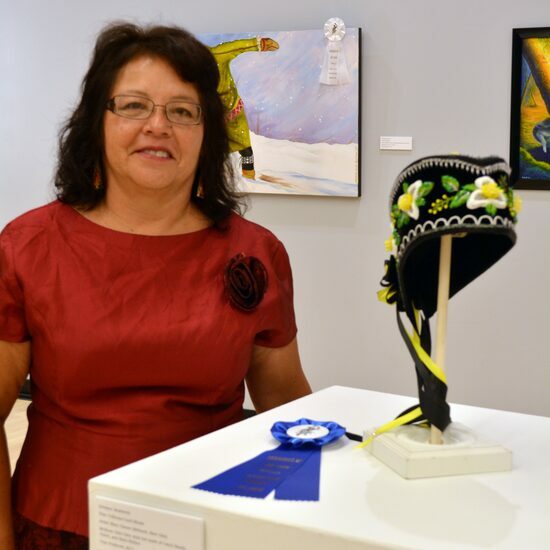 "Hope to see all the talented Haudenosaunee artists at this year's Ganondagan art show. 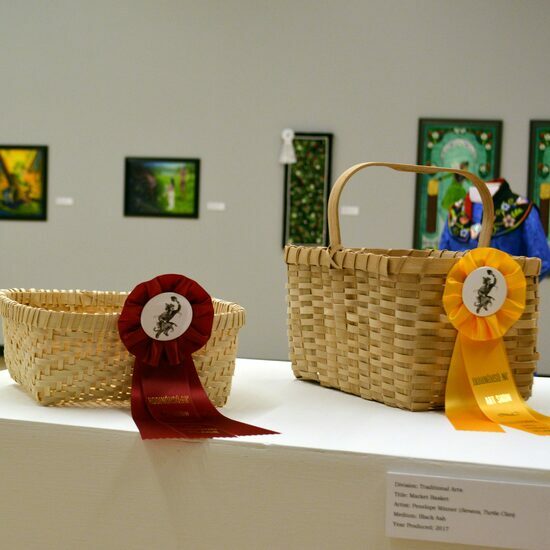 It's only a few hours away, many new categories and great prize money." 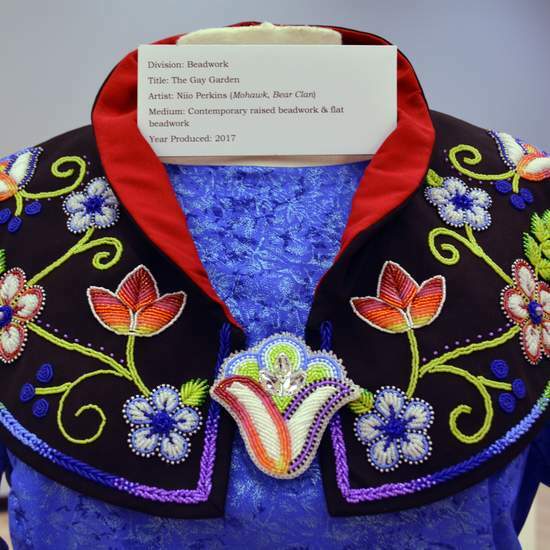 1st Place Beadwork: Samantha Jacobs (Seneca- Turtle Clan), Have You Seen This Ladybug? 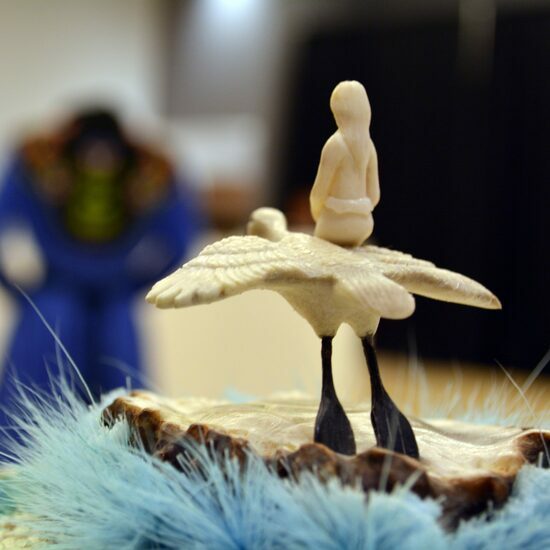 This show was made possible by the generous support of Thaw Charitable Trust.